For acne and Acne scars Treatment , our program is second to none. 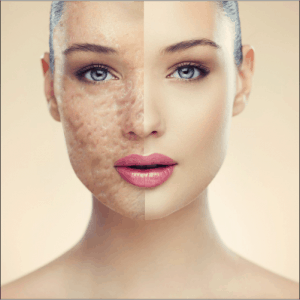 If you have previously suffered with acne and have been left with scarring then again lasers can significantly reduce this and improve the appearance of the skin. Here We will discuss about acne and acne scars treatment. Acne and acne scars are the common skin disorder that affects up to 85% of the population between the ages of 12 and 30 years. It may also occur in people in their 30s, 40s, and even into their 50s, although it is generally less severe. Acne consists of blackheads, whiteheads, pimples, and cysts or nodules. Acne may be located on the face, neck, chest, back or upper arms and . testosterone (which is present in both males and females), produces growth in the sebaceous (oil) glands of the skin, increasing the production of sebum. In addition, changes in the hair follicles (commonly called pores) lead to a greater number of dead skin cells being shed. These cells tend to cling together, plugging the follicle opening. The combination of oils and cells provide an ideal environment for bacterial growth. 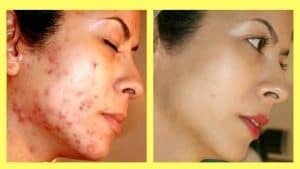 Acne and Acne Scars Treatment ? To treat acne in our clinic we use Long pulse Nd Yag laser Light Emitting Diode Blue and Red light Therapy Omnilux Light Therapy for Acne. Prof. Dr. Ikram Ullah Khan Skin Clinic is the best and largest clinic in Asia (technology Wise), We are having the Most Updated and Unique Laser Technology and we keep updating as per our patients requirement. Check Out This Video Prof. Dr. Ikram Ullah Khan treating acne scars with Erbium Yag Laser .